What you eat has a direct impact on the way you feel, mental clarity and the general health of the brain. 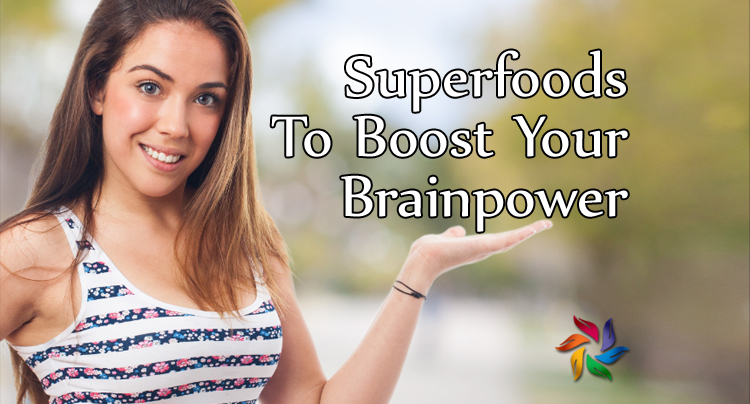 Some foods will give you increased energy and improve the functioning of the brain, while consuming others will often lead to brain fog and inability to concentrate. This has a lot to do with how the food was treated prior to consumption. If it was sprayed with pesticides to make it last longer, like in the case of many fruit and vegetables in the supermarket, it can be really hard to make the correct choice. However, some foods are simply superior to others regardless of the conditions that are out of our control. These are the superfoods. Oily fish is awesome because it provides the essential fatty acids (EFAs), which are not produced within our body. There are some plants that can provide us with these healthy fats, such as flaxseed, walnuts and pumpkin seeds, but the difference is that the EFAs in fish are more easily absorbed by the body, thus increasing their effect. Some awesome oily fish are salmon, trout, sardines and kippers. Essential fatty acids are crucial for proper functioning of the brain. Low levels of EFAs have been linked to Alzheimers and general memory loss, whereas an increased level of EFAs can provide a memory boost and also relieve stress through increasing the production of serotonin, the feel good hormone. Who doesn’t like tomatoes? You’d have to be weird to not like tomatoes when they’re full of lycopene, an antioxidant that is a powerful remedy against all types of dementia. 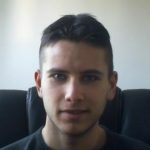 Lycopene protects against free radical damage within the brain cells which may lead to all sorts of mental trouble, most dangerous one being Alzheimers. The effect of this ingredient can be increased by in-taking it with fats, thus the tasty combination of tomatoes and olive oil proves justified both from taste and health perspective. Apart from being an excellent source of fiber, and an awesome replacement of carbs on a cutting diet, broccoli is full of vitamin K. This vitamin is known for its ability to enhance cognitive functions. Broccoli also contains a large amount of glucosinolates. This compound is also responsible for keeping the neurotransmitter acetylcholine, firing properly. Through these two vital ingredients, broccoli increases the energy output within the brain and increases our ability to learn and store new information. Walnuts are probably not something that you eat very often. But you should, as walnuts are equipped with many health benefits. They carry a long list of anti-inflammatory properties. Walnuts also promote a healthy blood flow, increasing oxygen delivery to the brain. This is due to the alpha linolenic acid (ALA). The main reason headaches occur is due to reduced oxygen in the brain. Walnuts can act as a natural remedy for headaches and migraines. This might be a bit controversial, but coffee is in fact good for the brain. We all know that it induces metal clarity and alertness for a couple of hours. Apart from that, coffee is also rich with antioxidants, which help in maintaining brain health. Spinach won’t act like a steroid, as Popeye cartoons would have you believe, but it’s still a superfood worth eating on a regular basis. Spinach is packed with lutein, an antioxidant that can drastically reduce cognitive decline in elderly people. 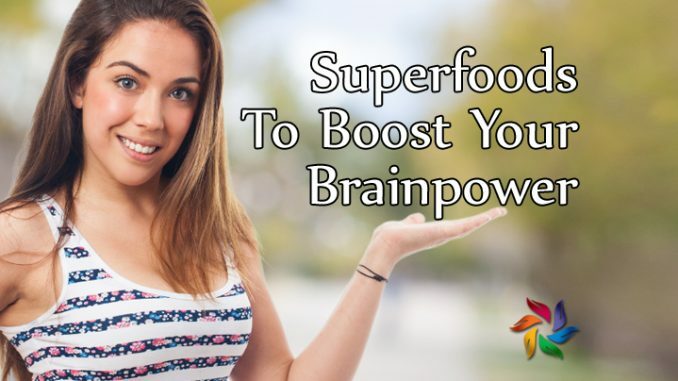 Likewise, intaking a large amout of lutein rich foods like spinach will increase cognitive abilities even in younger folk who do not have any issues to begin with. Apart from being tasty, and my personal addiction, it’s good to know that dark chocolate is in fact quite healthy. It’s definitely superior to regular dairy chocolate, and there are a few reasons. The main one is the antioxidant content which is up there with the dark berries and other anti-o superfoods. It also carries a lot of flavonoids. Flavonoids are in fact anti-oxidants, but a lot of times mentioned separately, as they not only improve blood flow in the brain, but also regulate cholesterol and lower blood pressure. This doesn’t mean that you should be eating a ton of dark chocolate, as it also has a lot of calories. 10 grams a day will provide you with all the health benefits you need. Beets are excellent for overall health. As far as the brain is concerned, they increase blood flow, thus improving cognition. But they are also great for other internal organs. Beets flush out various toxins that can accumulate in the body. They enhance the functioning of the ‘flushing organs’, kidneys and the liver. Apart from that, they also increase red blood count and improve blood circulation. One of the most powerful foods on the planet, garlic is considered to be the most powerful natural antibiotic. Tibetans eat a ton of garlic to stave off various illnesses, brain cancer being one of them. Research has shown that regular consumption of garlic can in fact reduce the likelihood of developing brain cancer. It is also a great remedy for regular colds, and even nasty internal parasites. Although social shaming is enough to deter many from eating this pungent food, it’s still an amazing gift of nature that you should indulge in every once in a while. Eggs are a great, cheap source of high quality protein and healthy fats. They are rich with healthy cholesterol which is necessary for proper functioning of the whole body, including the brain. Eggs are also the best source of choline, which is needed for producing the neurotransmitter acetylcholine, already mentioned as the crucial precursor for memory retention and mental sharpness. Some of the foods in this list most of us eat regularly. Others not so much. Although we don’t need to eat all of them all the time, it’s good to have at least a few in our kitchen and mix them up with the bad foods that make us dumb. Just to be on the safe side, and keep the good old brain cells firing properly.